Cryptomator provides transparent, client-side encryption for your cloud. Protect your documents from unauthorized access. Cryptomator on the desktop is free and open source software, so you can rest assured there are no backdoors. Cryptomator for Android/iOS costs a small fee and is not open source, but it uses an open-core component that can be checked for backdoors. Cryptomator's desktop app is a free and open source software licensed under the MIT / X Consortium License. This allows anyone to check our code. It is impossible to introduce backdoors for third parties. Also we cannot hide vulnerabilities. And the best thing is: There is no need to trust us, as you can control us! Vendor lock-ins are impossible. Even if we decided to stop development: The desktop source code is already cloned by hundreds of other developers. As you don't need an account, you will never stand in front of locked doors. Cryptomator was added by Flibledish in Apr 2015 and the latest update was made in Mar 2019. The list of alternatives was updated Apr 2019 There is a history of all activites on Cryptomator in our Activity Log. It's possible to update the information on Cryptomator or report it as discontinued, duplicated or spam. modernlized encfs by a maintainer of encfs. cppcryptfs is an implementation of the gocryptfs encrypted overlay filesystem in C++ for Windows. Unicode Crypter is a portable tool that encrypts and decrypts any Unicode character from 1 to 1114111! Alternatives to Cryptomator for Windows, Mac, Linux, Android, iPhone and more. Filter by license to discover only free or Open Source alternatives. This list contains a total of 25+ apps similar to Cryptomator. 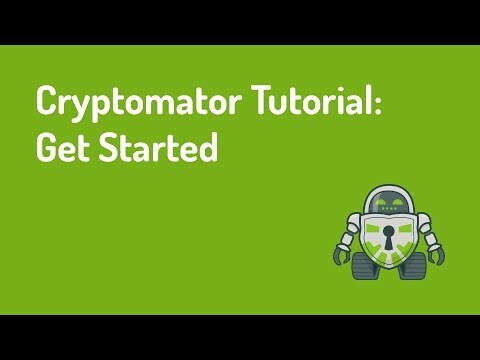 Maybe you want to be the first to submit a comment about Cryptomator? Just click the button up to your right!